A Dallas police officer returning home from work shot and killed a neighbor on Thursday night after she said she mistook his apartment for her own, authorities said Friday. The shooting took place at South Side Flats, pictured on Friday. A police officer in Dallas shot and killed a young man inside his own apartment on Thursday night, saying later that she mistakenly believed she had entered her own home. Dallas Police Chief U. Renee Hall says she plans to charge the officer with manslaughter, and has invited the Texas Rangers to investigate the shooting. The victim, Botham Shem Jean, was a 26-year-old black man. The unnamed police officer who killed him was a white woman, NPR’s Wade Goodwyn reports. Authorities say the police officer had finished a shift and was returning home, still in full uniform, when she apparently entered the wrong apartment — Jean’s apartment. 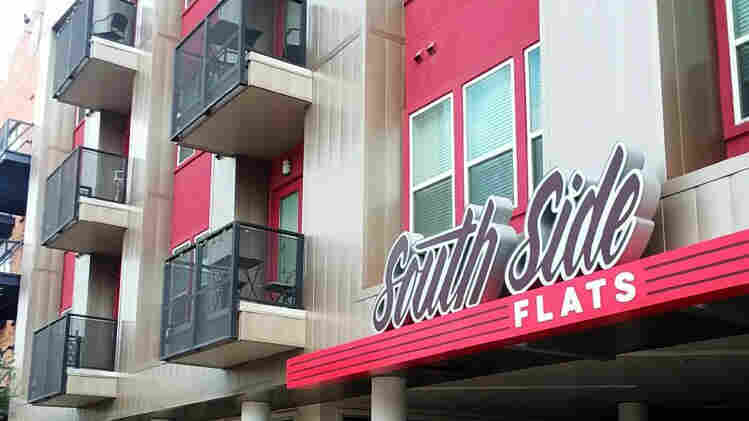 The shooting took place at the South Side Flats, a development that says it offers “cutting edge luxury apartments” near downtown Dallas. It’s located just a few blocks from police headquarters. “It’s not clear what interaction was between them … but at some point she fired her weapon, striking the victim,” Hall said at a press conference on Friday. Police are not following their ordinary protocol for officer-involved shootings, Hall said, describing this killing as “very unique situation.” A blood sample was drawn to test the officer for drugs or alcohol. Hall expressed her condolences to Jean’s family. Jean was a graduate of Harding University in Arkansas and worked at PricewaterhouseCoopers, The Dallas Morning News reports. He was from the Caribbean island of St. Lucia, and was the oldest son of a former government minister — his mother was the permanent secretary of the ministry of education, innovation, gender relations and sustainable development, according to the St. Lucia Times. The Christian Chronicle reports that he is being remembered for his beautiful singing voice — he often led songs during services — and the depth of his faith.